What happens when two former military officers join forces? A hunting company of unsurpassed integrity and professionalism emerges. KEN MOODY, Director. In 1992 U.S. Army Captain Ken Moody stepped away from commanding his tank company and joined the ranks of the hunting profession. 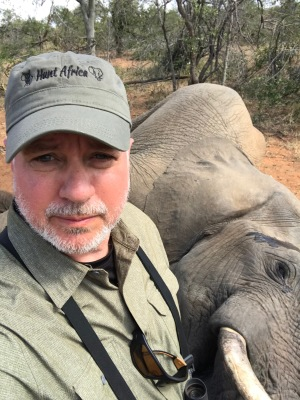 Traveling to Africa, Ken opened Ken Moody Safaris and began to provide high quality bow and rifle hunting adventures to American clientele. From 2000 to 2008 Ken owned his own ranch in South Africa from which he ran his hunting operations on 50,000 acres of exclusive properties. Ken sold his ranch in '08 in order to expand operations throughout South Africa and nearly three decades later, KMS is still providing a standard of service above and beyond the norm. With 3000 days in the bush Ken knows Africa. 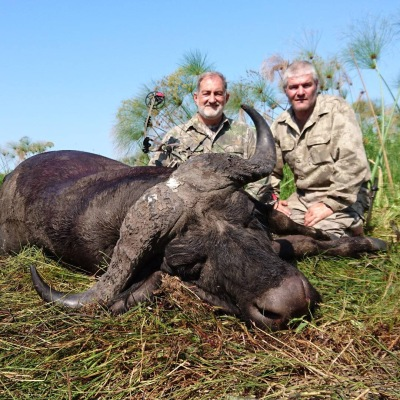 He has completed over 300 buffalo hunts, 100 elephant hunts and countless plains game safaris. 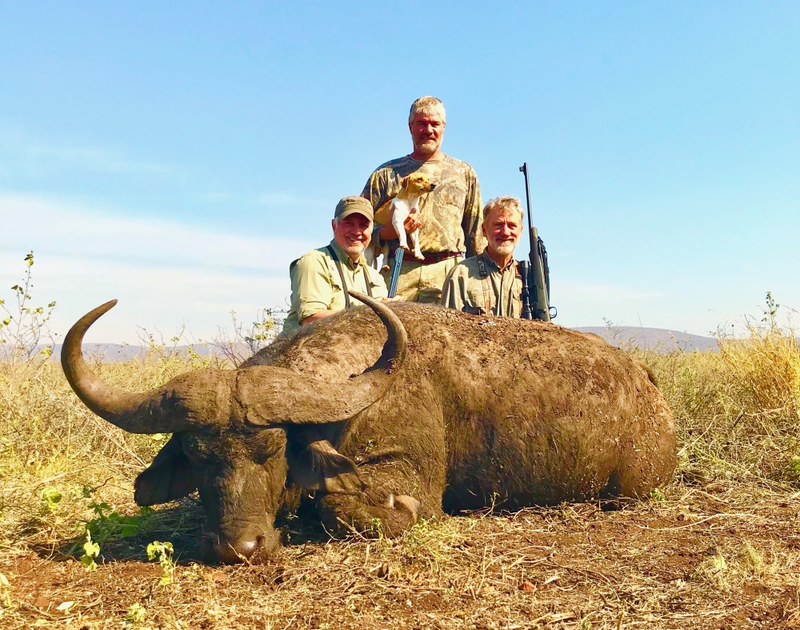 He has hunted in South Africa, Mozambique, Zimbabwe, Botswana, and Namibia and provided over 1000 safaris to happy, satisfied clients. FRITZ RABE, Director. 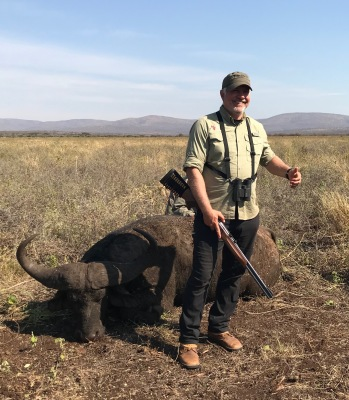 Former South African Army officer and paratrooper Fritz Rabe started hunting professionally in 1990 at the age of 19 after being granted a PH license under special conditions. He apprenticed under his father who worked in Kruger National Park and also the late Bertie Gouillome. Fritz is a fully qualified dangerous game PH with both rifle and bow. 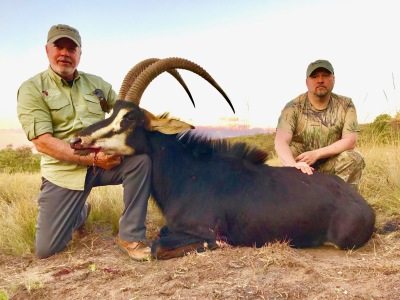 He successfully guided the first bowhunter to complete the Big 6 plus Crocodile, guided the first female bowhunter to take a Lion, and also guided the first bowhunters to take Forest Sitatunga in Cameroon and Mountain Nyala in Ethiopia. 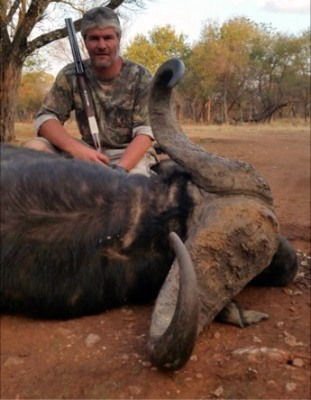 He has also guided the bowhunting client who bagged the pending World Record Lord Derby Eland in the CAR. 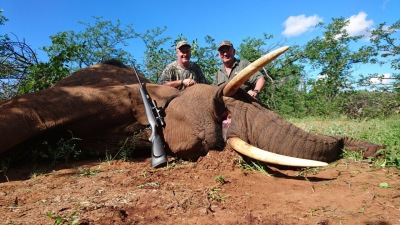 Fritz is the most prolific and respected bowhunting PH in Africa. Additionally, he is a qualified gunsmith, bow tech, and long range shooting instructor. When it comes time to place your trust and hard earned money in the hands of a safari company, put your faith in Ken and Fritz.